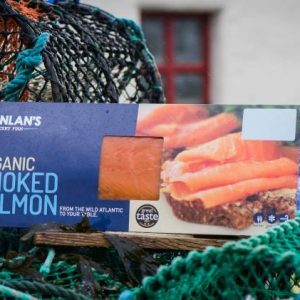 We use the Best Organic Atlantic Salmon to produce our Multi Award Winning Smoked Salmon. 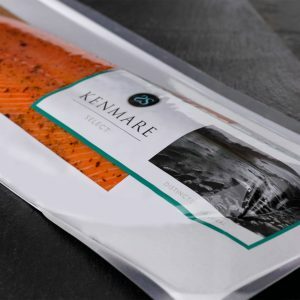 Kenmare Select’s Smoked Salmon makes a wonderful treat or gift. This unique combination of seaweed and oak offers a rounded woody tastte with a subtle hint of oak. 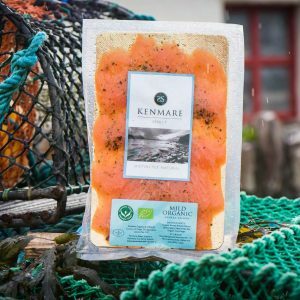 The dry-curing by hand (with sea salt, cane sugar and flakes of seven edible seaweeds all native to the coast of donegal) adds a mineral quality to the overall flavour; evoking the freshness and taste of the sea. 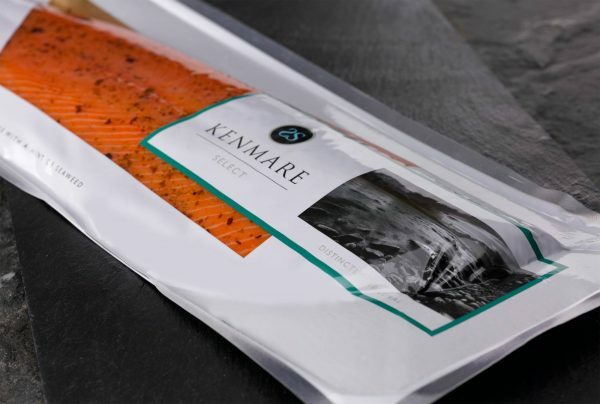 At Kenmare Select we believe that an exceptional product needs careful attention at every stage of the process. 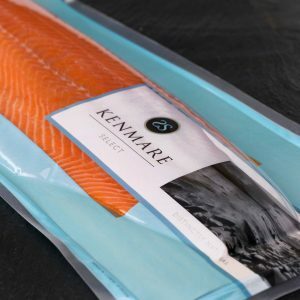 We use a unique ‘ultra-cold’ smoke which gently permeates the fish, balancing the oak flavour with a luxurious sashimi texture. It takes more time, but produces an exquisitely subtle, clean taste that’s distinctly different and truly delicious.